The body of a Canadian film-maker who disappeared off the coast of Florida has reportedly been found. Shortly after announcing that it would be suspending its search, the US Coast Guard tweeted that a body had been found at a depth of 220ft. The 37-year-old from Toronto was known for his 2006 documentary Sharkwater. Crews had been looking for him since 17:15 local time (22:15 GMT) on Tuesday evening, when he was reported missing while diving. At about 15:00 on Friday, the Coast Guard announced it would suspend its search at sunset. Four hours later, it tweeted that his body had been reportedly found. His family issued a statement after the announcement. “Unfortunately it is with a heavy heart that I share Rob has been found. We are deeply saddened but take comfort that he passed while doing what he loved,” family spokeswoman Victoria Gormley wrote, according to Canadian broadcaster CBC. Mr Stewart briefly surfaced and then disappeared while diving with friends near the Florida Keys. He was diving about six miles off the coast of Islamorada, according to his friends. Mr Stewart’s sister told CBC Toronto that he had been diving with three friends, who all made it back to the boat safely. She said that the dive was “particularly difficult”. The Coast Guard deployed a number of boats and an Air Station Miami MH-65 Dolphin helicopter to help with the rescue mission. The Navy, local police and the Florida wildlife conservation commission also joined in the search. Mr Stewart’s friends fundraised and crowdsourced for volunteers to help with the search after he went missing. 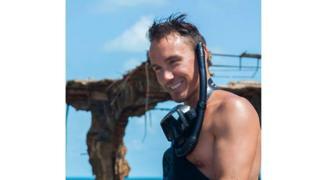 Mr Stewart won national acclaim for Sharkwater, taking home more than a dozen awards. He was in Florida filming its sequel, according to his social media accounts.